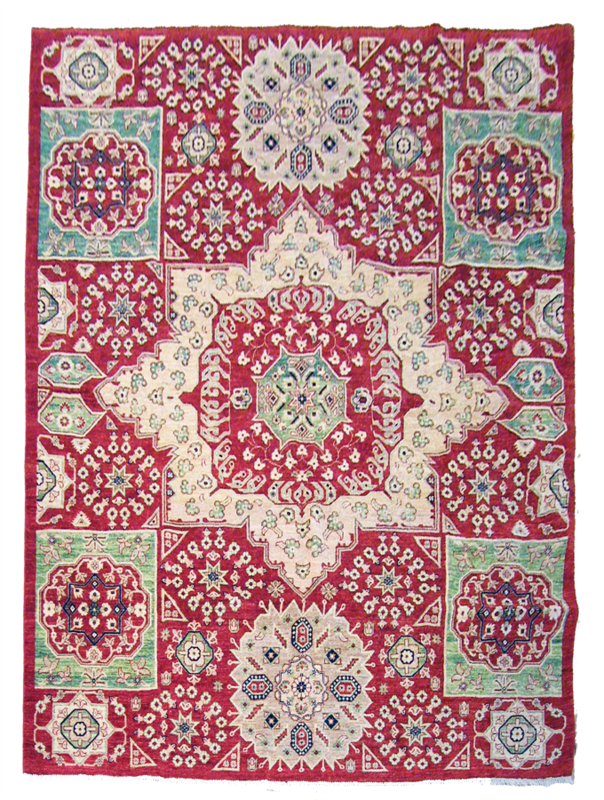 Ersari Rugs. Ersari is a language spoken by Turkamen tribes now mostly living in Northern Afghanistan, so an Ersari rug can also be called an Afghan Turkamen rug. They use softer brick, dusty rose, brownish reds while their blues can range from almost black to robin’s egg blue.